A horse was loose on the streets of Paris last Friday. I think he was trying to run to Notre Dame to attend morning mass. What do you think made the horse slip and fall? I know what my answer is and if you know La Mom well enough by now you do too! So go ahead and vote in the right hand corner of the blog (under the Alltop badge). Oh la la! I have a secret and absolutely nobody to share it with. Someone in the haute-couture food chain revealed it to me, but then told me not to share it with anybody. "Eet ees top seeecret!" Karl Lagerfeld himself may come after me for divulging it. "Everyone weel bee wearing eet. Eet ees discreet, sober, and très anti bling-bling." Coconut moonlights as an artist's agent. I invited her to my place 3 weeks ago for a viewing of some art to hang in my salon. After revealing Chanel's state secret, Coconut then proceeded to redecorate my salon - in what else? Black and white! So keep your eyes on the runway and fashion mags to see what colors we'll be wearing next season. You can also find great fashion updates at A Rendez Vous With Style. Visine - It Gets The Red Out! I love it when I can help a new expat friend in need. La Mom's neighbor just arrived from Atlanta. I've nicknamed her Belle, as in Southern Belle. I have a feeling she may not last very long in Paris. She already informed me that she sees no need whatsoever to visit the Left Bank of Paris,"What's ovah theyah besides a bunch of museums?" Oh, just the Latin Quarter, Notre Dame, and the Marais. Everything she needs is in her neighborhood and she has no desire to visit this beautiful city or try to learn a few basic French words, "What for, everybody speaks English anyway." Not exactly, but, if that's what you think, ok. So we had a coffee/playdate yesterday afternoon. Belle showed up with horrible red, irritated eyes. La Mom: What happened to you?! Belle(with Southern accent): Honey, Ah haave an infection and the cream the Doctah prescribed makes mah eyes feel worse, not bettah. The minute ah rubbed it in they started stinging. La Mom: Go get me the cream and the doc's prescription! I'll doublecheck everything for you. So she ran back up to her apartment and brought back the creams the doc prescribed. Notice I wrote "creams?" Plural. Poor Belle, something had obviously been lost in translation. What she had rubbed into her eyes was cream, but not for her eye infection. Seems she had another infection too - down south in her Atlanta area. She rubbed the cream for that itchy little infection into her eyes and vice versa. La Mom:(Pretending not to understand the prescription) Not sure what champignon (mushroom) cream is for, but it definitely does not go into your eyes! The tube says nothing about eyes. For future reference, les yeux means eyes. Belle: Oh honey, well ah must haaave mixed it up with the cream for mah leg rash. La Mom has a special guy in her life! She met the guy back in her single girl days in La Silicon Valley. We shared a love of pommes back then, still do today. We didn't know each other over at Infinite Loop, but we later met at Donna & Jeff's company. "EAT LIKE A BIRD AND POOP LIKE AN ELEPHANT" which was kinda what I was doing that day as I had gone to work with a bad stomach flu! What the guy meant was: take in a lot of information and distribute it as largely and widely as you can. So now I'm doing just that. Taking in a lot of info and distributing it all over France to English & French speakers. Do you know what I'm talking about? Or who I'm talking about? La Mom's special guy is.....GUY KAWASAKI. Guy is La Mom's new boss. Wait, I didn't tell you I have a new job? I've just appointed myself ALLTOP Ambassador in France. And there you have it - a GUY (Kawasaki), a GIRL (moi), and a blog (La Mom). 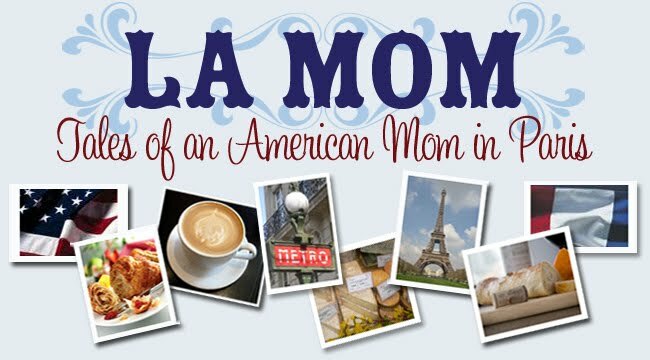 Important Message from La Mom to Guy Kawasaki: As I ask you on Twitter, when are you bringing your Reality Check book tour to Paris? I've got a few managers from my Paris working girl days who I'd love to send signed copies to!